In the early 60s, mahogany guitars were on the bottom rung of most company’s catalogs. Gibson offered the LG-0 as its starter six-string; Martin had just recently discontinued their mahogany 00-17 and Guild had two similar mahogany models that were soon to be history. 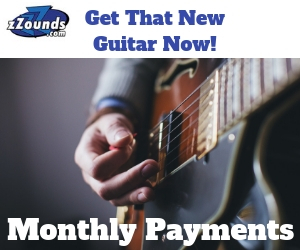 At around $100, any one of these no-frills guitars offered entry-level buyers some brand-name cachet and a quality instrument, even if it was kind of unexciting. Personally, I couldn’t get past the fact that they were dull, brown guitars. 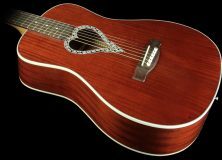 I was much more interested in big, attention-worthy flattops like Gibson’s cherry-sunburst Hummingbird or the Martin D-28, with its gleaming spruce top and multi-ply binding. I must not have been alone, since the dark-stained mahogany-topped guitars pretty much went away for several years. But recently, Martin has brought back an all-mahogany line and I’ve been pleasantly surprised by the ones I’ve played (Taylor has also introduced a series of mahogany-top guitars). The look isn’t flashy, but it does have a certain authentic, organic appeal. And tone-wise, they bring a whole lot more to the party than I expected. Two 000-sized models, the 000-15M and the sloped-shoulder 000-15SM, the models most likely to raise eyebrows (and earbrows, if you have them). I’ve played all four and they all deliver, but the two 000-size models are my clear choices. 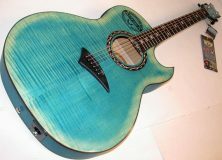 The 000-15M (pictured above), with its 14-fret (clear of the body) neck, is the more traditional of the two and will probably appeal to more players. The morado (a/k/a pao ferro) fingerboard measures a standard 1 11/16” at the nut, making it a little easier for strummers. The neck is Martin’s “modified low oval” and it’s very easy to play. The smallish auditorium-size body offers respectable bass and a really nice midrange presence. The balance is very even. I mention this because I’ll sometimes pick up guitars that are advertised as “balanced,” but to my ear, it means the guitar sounds equally weak across all registers. Not so with this Martin. A word about mahogany: Mahogany tops tend to have a little warmer tone than spruce. They sound a little more “lived-in” right off the rack. While the 000-15M might have a little less “snap” than a comparable spruce-top model—and I did A/B it against the spruce 000-17SM to confirm that—it still sounds great. It doesn’t have quite the booming authority of a dreadnaught, but it also doesn’t sound like the standard brand-new guitar that won’t really be ready for a few years (meaning it didn’t crap out when I dug in for some aggressive rhythm). This is a serious box for the bucks. 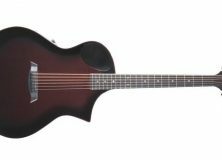 While the SM model looks more like a parlor guitar, it sounds very much like its slightly larger 14-fret brother: deceivingly full and balanced for its size. The 25.4” scale length is the same, which shifts the bracing and places the bridge a little farther down on the body. Those modifications, combined with the mahogany top’s warmth, suit this guitar perfectly, especially for fingerpicking and lighter strumming. The fingerboard on the “S” model measures a slightly wider 1 3/4,” which makes it easier to articulate individual notes and rolls. It also makes the low-oval shape of the neck feel just a little flatter and very easy to play. All of this is enough to almost make me forget that I like those extra frets—and a cutaway, if possible—since I’m one of those chord-melody geeks who actually plays up there. But that’s my only complaint. As you can see, these are not fancy guitars: no binding on the neck or body; no center stripe or heel cap to dress up the back; all-over satin finish; a simple, single-ring rosette; and old-style, open-geared tuners with ivoroid buttons (I believe that’s Martinese for “plastic”). But for around $1,200-1,400 (list is $1,549-1,849 depending on the model), you’ll get a great sounding, distinctive looking, genuine piece of Americana—and an excellent guitar that will hold its value well past many bigger, fancier flattops that wish they had the Martin name on their headstocks. One last thought: C.F. Martin & Co. went through some bad years (as have most big American guitar manufacturers, at one time or another) during which quality control was fairly lax. For the past 25 years, I would rarely bother pulling a new Martin off the wall—which was pretty disappointing for someone like me who has owned and played some amazing guitars from Nazareth, PA.
I’m happy to report that the company seems to be back. Some of the best acoustic guitars I’ve played recently have been Martins. Some of those have come from their custom shop, and they’ve been exemplary instruments. But many—like these 15 Series mahogany-tops—have simply been well made, carefully constructed, production guitars that reflect the pride, history, commitment and guitar-making smarts of one of the great names in American musical instrument manufacturing. I’m happy to be able to say great things about them again.